Balloons are one of the beautiful, colorful and cost-effective ways of decorating your event. If you are thinking of some creative ideas to enjoy your day, you are here to the right place. Balloon arches are one of the best ideas to decorate your anniversary party, wedding day, birthday party, etc. like events. You can ask decorators to place this balloon arch at the entrance point. The combination of good colors would be a good option. Decorate your balloon centerpieces with accessories like artificial flowers, gum balls, confetti’s, etc. You can search for the designs over the Internet and surprise your friends and family members with a beautiful centerpiece. 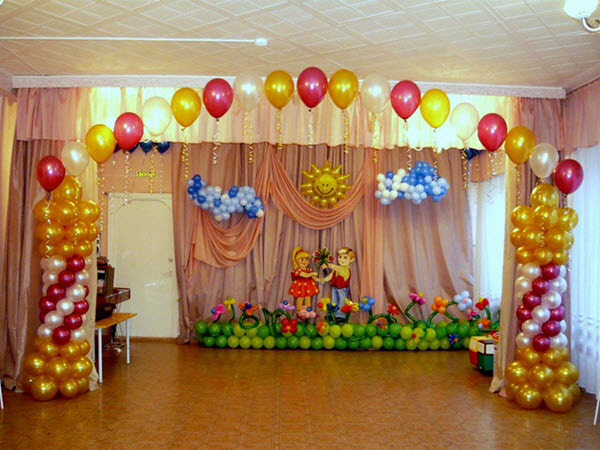 Designing tall balloon columns with different colors can be placed at the entrance, across the walls, and at many other places. You can either choose printed balloons or customize your designs according to the needs and requirements of the occasions you want to decorate. If you want to promote your company brand, you can use helium gas-filled balloons because they stay longer and present your company brand for a longer period of time. Use them to decorate every chair and table. 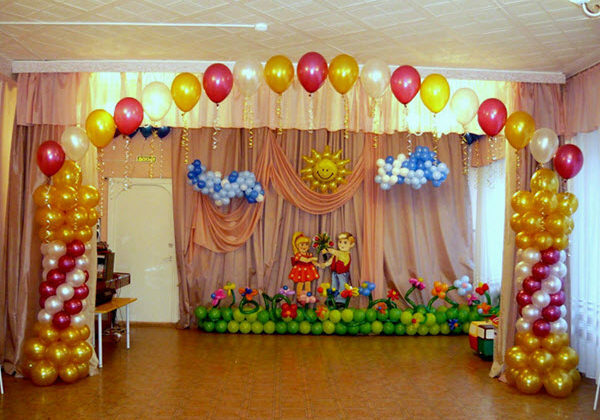 You can decorate your party areas with a theme of colorful balloons by using a combination of white and red, white and pink, or any other color of your choice. This is a bit Cray idea that you can use for coming birthday party of your kid. Just like a waterfall, you can use a nice cloth and hang it over the roof. Then inflate as many balloons as you can and place them on the u-shaped cloth. When your guests arrive, you can let that cloth fall, and your guests would experience the same fun as that of a waterfall. You can use colorful confetti’s and inflate balloon to decorate your day. Balloons displaying photos of the king or the queen of the day. You can use 4-5 balloons and design a very attractive name plate of the king or the queen the day. You can inflate balloons and do some nice painting over them to let someone feel special on their special day. If nothing works out, you can search over the Internet and find millions of creative to craziest ideas to use balloons in the most-expressive ways. This is one of the best options for people who have less time but want to decorate their event in the most auspicious way. Above are 10 simple and cost-effective ways to use balloons and decorate your special day with colors. You can use these tools and get a completely new experience to enjoy your day with some innovative ideas.